‘Fresh anarchy’ is a way to discribe the work of Dutch photographer Jaap Scheeren. With his own, slightly absurdistic, style he investigates the coherence between reality and photography. By doing so Scheeren developed a visual world in which he follows its own intuition, logic and rules. Always with a humorous twist. 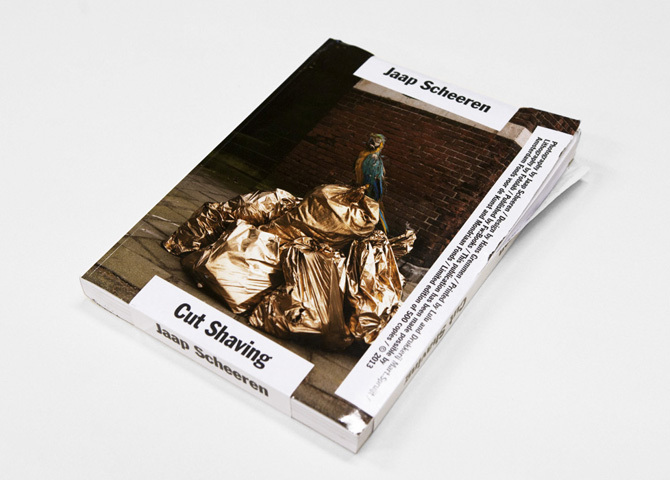 ‘Jaap Scheeren Cut Shaving’ combines for the first time all of Schereen’s work.